Peace Now attacks decision saying it exemplifies Netanyahu’s “obsession with settlement building”. The construction on Jewish land in Ofra in Samaria must continue. The Civil Administration authorized 272 new homes for settlers this week and gave the Ofra settlement a boost of legitimacy by approving the first-ever master plan for the West Bank community since it was created in 1975. “After 40 years of waiting, this is a celebration,” Ofra secretary Sami Karsenti said on Monday night. Both he and Peace Now spoke with The Jerusalem Post about the approvals. Ofra is located 15 kilometers over the pre-1967 lines in the Binyamin region. It is outside the boundaries of the security barrier and is considered an isolated settlement. Ofra is considered a legal settlement under Israeli law because the government approved it in the 1970s, even though it fails to meet all the technical criteria for an approved community. A master plan for the settlement of 3,400 people was never approved and as such its buildings are considered unauthorized. The settlement’s situation is particularly complicated because many of the homes are situated on land that is privately owned by Palestinians. 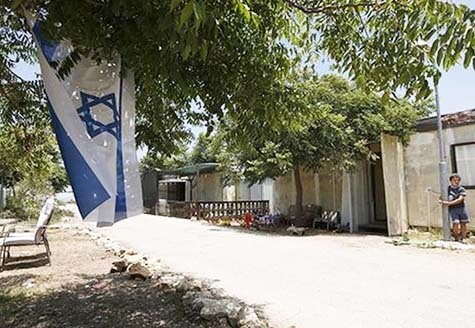 I feel this is a bold move by the Israeli Government that somehow reaffirm that the Jews have a birth-right to live in Samaria. Let us hope and pray that Benjamin Netayhahu do not succumb to pressure, and let Obama decide the borders of Israel. God of the Bible is the Lord of Israeli settlements in Judea and Samaria. In the prophetic Word of the Bible, God Him self promised to rebuild the ruins of Zion, and populated the house of Jacob on the Mountains of Zion. The Word of God is the truth, reaffirmed by the Messiah coming in flesh 2000 years ago. All man made plans that contradict the Scriptures, are rubbish, and a fruit of rebellion against the Lord of History.